Former Hickory Crawdads Rougned Odor had a playoff debut to remember on Thursday in game one of the American League Division Series with the Texas Rangers against the Toronto Blue Jays. Odor’s day was punctuated by a solo home run solo home run in the seventh; he was also hit twice and scored three runs as the Rangers took a 5-3 win. Odor, now 21, grew up in Maracaibo, Venezuela and is the nephew of current minor league hitting coach Rouglas Odor, himself an eight-year minor leaguer. Odor came upon the radar screen of the Texas Rangers while playing for Venezuela during the 2009 World Youth Baseball tournament in Taiwan. The Rangers signed him as a 16-year-old in 2010 and after skipping the Dominican Summer League, Odor made his pro debut with short-season Spokane in 2011 at the tender age of 17. He certainly wasn’t overmatched on the field in the Northwest League, as he posted a .262/.352/.352 slash with a 37-to-13 walk-to-K ratio in 58 games. Generously listed at 5-11, 170 lbs. at Hickory in 2012 – likely smaller at Spokane – Odor didn’t back down from anything, as was seen when he was the spark in a major benches-clearing brawl during a game against Vancouver. His tough-nosed attitude was a hallmark of his play during the 2012 season at Hickory. In fact, the style of the 18-year-old caught the eye of then-Crawdads manager Bill Richardson at spring training in Arizona. Odor certainly got off to a big start in the first half, highlighted by his selection as the South Atlantic League hitter of the week from May 21 to 27. During that week, he was 8-for-22 (.364) with a home run, five doubles, seven runs scored and four RBI. What surprised observers was Odor’s ability to put the ball out of the ballpark as he drilled ten homers to go with 23 doubles in 109 games. He owned a .293/.357/.482 slash through June 3 when he dislocated his shoulder on a slide into third, costing him a likely South Atlantic League all-star selection. 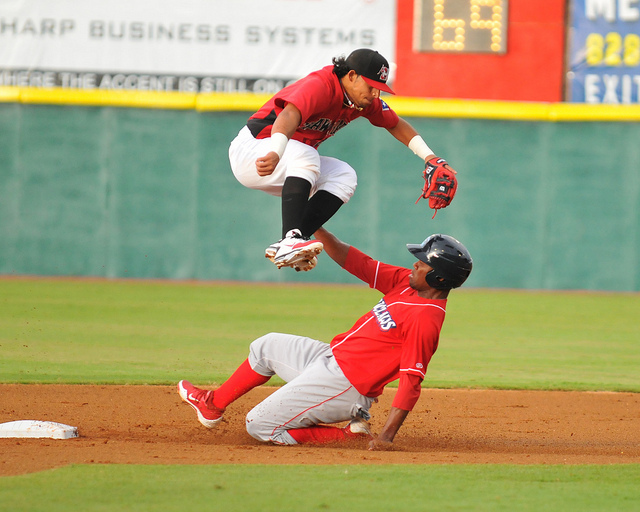 A bigger hit was to the Crawdads, which at the time was digging for a potential SAL playoff berth. Once he came back, he treaded water for a while before the North Carolina heat of August sapped his body and Odor finished at .259/.313/.400. It was apparent that the teenaged Odor had work to do to build his stamina for marathon seasons to come. I did an interview with Odor for a column in July of 2012. While abnormally assured of himself on the field, at the time, he seemed surprisingly shy during the conversation I had with him. As I look back now at the interview three-plus years later, I think Odor had more of a mindset in which he wondered what the big deal was concerning his ability as a major league prospect. Odor was simply playing well because that’s what he was born to do. 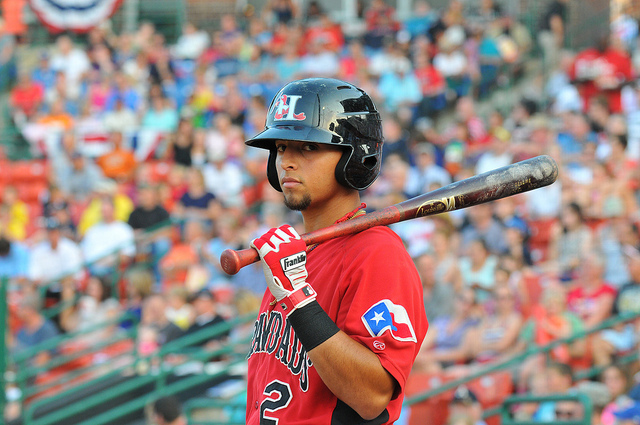 Odor was among the most confident players I have seen come to Hickory. As I see him now with Texas, there is still the air of, “What’s the big deal? I’m just playing baseball.” He expects to succeed – just like when he was at Hickory. 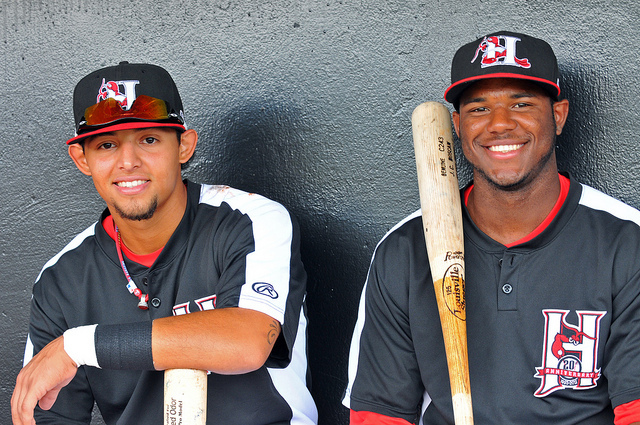 Below are excerpts of the interview I did with Odor in July of 2012, through the translation of 2012 Crawdads assistant coach Humberto Miranda. What was it like to grow up in Maracaibo? Odor: When I was little, I started playing baseball when I was two years old. I would go to class and practice when I was growing up and hanging out with friends. Was your uncle instrumental in getting you started in baseball? Odor; Not just him, but my dad was instrumental in getting me started in the game. What was your first memory in organized baseball? Odor: When I was 10, I was playing in a tournament, my uncle came to see me, and I hit a home run that particular day. I was so happy about it. When did you start thinking seriously about playing pro baseball? Odor: About 12 or 13-years-old. How did you get started in that direction? Odor: My dad was a big part of him keeping me on the right path – practicing every day, putting me in tournaments or leagues with teams that were older than me. I also represented Venezuela a couple of times and that helped me out with pressure and situations with fans and all that. Did you travel to other countries to play? Odor: It was great because I saw things that I never saw before. It was a great experience learning that culture. How did you and the Rangers get together? Odor: The Rangers had been following me a lot. Before I signed, they went to Taiwan to see me play. They saw me play in Maracaibo, where I’m from and I even flew over to the states to have a try out. What’s it like to go from Venezuela to Spokane at 17? Odor: I felt really fortunate to go to that league so young, even though I didn’t play rookie ball. I felt fortunate that all the work paid off. All the work that I did with my uncle and my parents, it paid off. I give my 100% every day to make my goal. What was the biggest thing that your dad and your uncle did to help you growing up? Odor: They always talked a lot about baseball. They talked to me about how to deal with pressure or failure and also when you have good games, how to handle it and how to play the game overall. What did they teach you about dealing with pressure? Odor: They always told me to respect the game, whether you do good or bad. If it goes bad, I’m working at it. It’s part of the game. What was the hardest thing about going to Spokane? Odor: Nothing about baseball, but learning English was a big factor. But I’ve been able to pick it up. What’s it like being 17 and living on your own? Odor: It wasn’t that hard, because when I was little, I traveled a lot. I always got used to being by myself away from my family and home. So, it wasn’t that hard to adapt to it. Are you surprised at how quick you are moving up? Does anything surprise you yet? Is this an easy game for you? Odor: I don’t feel surprised. The game is not easy, but I work hard enough to slow it down. I was happy to come over here. I do just do my best and it’s showing up. What are you working on for the rest of the year? Odor: Just keeping the focus day in and day out and just to improve in every area that I can. Now, it’s not physical, it’s more mental. I have to talk care of my mental routine to bring it every day. It doesn’t matter if I have 60%, 40% or 20% of me. That day, I’m going to give my 100% of what I have that day. What did your family teach you about failure? Odor: Failure is part of the game, so I’m going to keep my routine going and work harder. It’s part of the game. If you 70%, you’re still successful in this game. I don’t see it as failure; I see it as a learning experience. What is the biggest thing you have to work on between now and the big leagues? Odor: Keep focusing day in and day out. That’s the biggest difference between a major leaguer and a being in the minor leagues. Keep working on my defense, turning double plays. I’ve been working hard and I’m getting better. My hitting is going to come along, because I’ve always hit. Just bring it every day. How soon do you want to get to the big leagues? Odor: My goal is to get to the big leagues by 21 or 22-years old. What sticks out about Odor compared to the other middle infielders (at the time, the Rangers system had middle infielder prospects Leury Garcia, Hanser Alberto, Jurickson Profar, Odubel Herrera and Luis Sardinas? Odor: I think the big difference between them and me is I play the game every day. No matter what the score is, no matter the situation, I play the game hard. They’re good players, and I’m taking nothing away from them, but they’re them and I’m me.